Save money on your Las Vegas vacation by taking advantage of this Las Vegas Air And Hotel discounts, deals, and promotion codes. We have compiled the best offers from the most popular travel websites so you can get the cheapest package deal on your Las Vegas vacation. By combining the best prices for Las Vegas flights and the best offers for the most popular and affordable Las Vegas hotels and resorts you can save hundreds of dollars on your Vegas vacation. Booking a Las Vegas air + hotel discount packages means you don’t have to hassle with multiple reservations and you get to sit back, relax and anxiously await your vacation to Las Vegas. At VegasDiscountCodes.com, we list all the best discounts, promotion codes, and deals for Las Vegas air and hotel packages making your reservations simple. Browse the air and hotel promotion codes, discounts, and deals below to find the best price on your air + hotel package. After saving money on your vacation package be sure to check all of our Las Vegas show promotion codes and discounts where you can get up to 50% off the most popular Vegas shows and attractions. Take advantage of these air and hotel packages to Las Vegas for under $500 when booking online directly through Orbitz. 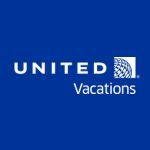 Use this United Vacations promotion code and save up to $350 on air and hotel packages to Las Vegas with this limited time deal.